Happy Hour at 6 PM dinner at 6:30 PM Order off the menu. Bring a non perishable item (or two) for the food shelf. Congratulations to our 23rd Annual Art & Book Festival Winners! Thank you to all the attendees to our 23rd Annual Art & Book Festival. All the artists and authors were thrilled with our attendance. We worked very hard behind the scenes this year to bring you a bigger and better Festival. Honk-honk! The MN Art Truck is rolling into Hackensack for Saturday's Festival! THEY’RE LIKE FOOD TRUCKS—ONLY BETTER! You’re hungry. Hungry for something different. Hungry for something that will feed you for the distance. When the Minnesota Art Truck pulls up to Northwoods Art & Book Festival, you will have a whole new adventure to savor. Yes, they are food trucks. For your soul. It will be stocked with a delicious assortment of art from Midwest artists, the Minnesota Art Truck delivers loads of something for everyone. Not only will they satisfy your cravings, Matt Swenson ower of the MN Art Truck also poured over student entries from Northland Community School in Remer and WHA High School in Walker. Matt will be announcing the winners of our student art contest @ 2:30 in front of Baxter (Minnesota Art Truck). Be sure to be there to support our awesome student artists and view all of the amazing entries. Congratulations to all the winners. You can also fuel up on Facebook and Instagram by following @MNArtTruck. We are so excited for Saturday! Fabulous artists and authors will be here! Anthony Swann has been many things. A chef on a travel train, owner, and operator of a jazz-infused coffee shop, an art enthusiast, an avid world traveler, a friend to many and a lover of life. Through it all, he's written poetry. His love of poetry and literature was inspired by a high school English teacher and has been constant and strong ever since. His first full book of original poetry, Paint with Words. Paint with Words, a book of poetry features twenty hand-picked poems by him from a vast repertoire of poetry written during his lifetime. According to his mentor and teacher, Dr. Carol Ann Russell, “I believe it is an indivisible love—of words, song, art, and jazz-which makes Anthony Swann unique as a poet.” She continues, “The reality is that Anthony Swann is a rebel outside and inside of time. His wonderings across America have not just been highways, but ley lines and his ear is a human ear, his heart our beating heart.” Anthony has written poetry most of his life and is very adept at reading it. He was born in 1942 and grew up in Crosslake, Minnesota. After attending college, he lived in Minneapolis where he co-founded a jazz coffeehouse called the Broken Drum. He now lives in Bemidji, Minnesota, where he is active in the arts community and has served on the boards of several arts organizations. Born and raised on the Canadian prairies, Rosemary Vaughn immigrated with her family to the northern plains of the United States in the mid-1970s. A former professor of Teacher Education, Rosemary has drawn on her experiences in education and having lived on the islands in her debut award-winning novel Love on the Misty Isles. Currently spending summers among the pines of Minnesota and winters in palm-studded Florida, Rosemary has adopted the title of Pine to Palm Writer. Visit Rosemary at her website: www.rosemaryvaughn.com. The rugged, pristine beauty of the former Queen Charlotte Islands off the northwest coast of Canada forms the back drop for Love on the Misty Isles, a novel in three parts. The twists and turns of the plot revolve around three intertwining love stories that cross generations, cultures, and borders. The characters form a family of sorts in this remote community. Officially named Haida Gwaii, the islands are home to the proud and talented Haida First Nation for whom the environment is very important. “Love,” therefore, in the title refers to more than just romantic love. It is love of culture, the environment, and the familial love of friends. It is a story of love, life, death, loyalty, betrayal, and forgiveness. Rosemary participated in the 2017 Northwoods Art and Book Festival, which she found very well organized and the attendants very helpful. She also enjoyed the interaction with other authors and being at an event where the visitors were truly interested in books and talking about them. Jason Lee Willis is an author who teaches high school English, indigenous studies, creative writing, and mythology, but every morning during the school year, he wakes up at five a.m. to write a thousand words. Jason grew up in South Dakota and currently lives in Minnesota, where he lives the life of a hobbit by gardening, writing, walking around barefoot, wearing vests, fishing, and going on adventures with his wife Julie. 1897: In the pine forests of central Minnesota lives the surviving family of the Wijigan Clan, a branch of the Chippewa Indian nation that has survived a cross-continent exodus to arrive at their destination--Lake Manitou. Yet at the turn of the 19th Century, the United States government is trying to remove the Chippewa from prime logging lands through extortion and mandated boarding schools. Lily Asibikaashi, who lives a simple life with her mother and younger brother, has already rejected her culture and wants to become a public school teacher. But when her brother is forcibly taken to a distant boarding school, Lily becomes the last link between the mysterious past and unfulfilled prophecy. Despite her misgivings, Lily is trained as a Wabeno, a Fire Handler, and is given secrets others are willing to murder to discover. If her family is to survive, Lily will have to choose between past and future, duty and dream, faith and family. 1988: Stories of a horned serpent that lives below the lake are still told around campfires, but for Levi MacPherson, his nightmares warn him some of the old legends might be true. To learn about his past, he seeks out his great-grandmother Lily, who seems to be clinging to life just to share her stories. Lily teaches him about the Seven Fires Prophecies, the magic of the Dream Catcher, and his darkest family secrets. She also reveals that her power as a Fire Handler accidentally woke the evil Manitou, and to fully defeat it, Levi must also be trained as she once was by her grandfather. Will Levi destroy the centuries-old prophecy, or will he fulfill it? Bringing the Word of Life to the 1870s Minnesota Wilderness Historical fiction author tracks the exciting life of an 1870s circuit riding missionary. CASTLE ROCK, COLORADO, June 27, 2018 – Dropped from a stagecoach into the harsh, yet beautiful wilderness of western Minnesota in 1874, Pastor August Hertwig faces isolation, severe weather, and extreme physical hardship. Yet God leads him to the love of his life in the strong, determined Elizabeth and together they forge and amazing ministry. "During the 1870s western Minnesota was on the edge of a changing civilization. An aura of excitement and danger prevailed as immigrants flooded into the area," said author Gene Stark. (CrossLink Publishing, 2018, $16.95, available at http://www.flyovercountryscribe.com.) (CrossLink Publishing, 2018, $16.95, available at http://flyovercountryscribe.com.) "I had never wondered before if I would see another summer. Yet on that day the question crossed my mind." The frontier town of Alexandria, Minnesota in 1874, attracted immigrants longing for land and freedom. Yet the newcomers to this wild, beautiful, and dangerous landscape needed the stability, love, and peace found in the Word of Life. Pastor August Hertwig, called to this ministry and dropped from a stagecoach into a stunning yet hostile place, faced isolation, severe weather, and plagues of locusts as he struggled to bring the permanence of Church and Faith to settlers striving to carve out a life in this new land. God led him to the love of his life in the strong, determined Elizabeth and together, in faith, they forged a powerful ministry based on the eternal Word and manifested in vibrant Christian congregations. Pastor Hertwig tells his own story of immigration which takes him from his childhood Germany to the very "ends of the earth." Traveling on foot and by horse, his ministry covered several counties where he started sixteen congregations, many of which still exist today. 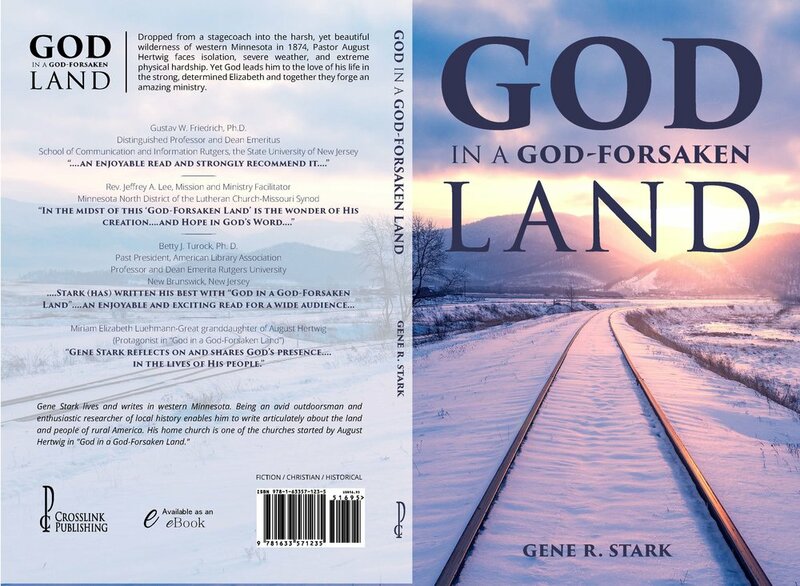 "God in a God-Forsaken Land" is a journey of faith and adventure in 1870s pioneer Minnesota. Historical fiction author tracks the exciting life of an 1870s circuit riding missionary. Historical fiction author tracks the exciting life of an 1870s circuit riding missionary. Jerry Raedeke comes to Northwoods Art & Book Festival with a distinguished past. The renowned wildlife and landscape artists paintings have been shown at major wildlife exhibitions in the nation and have received many prestigious awards. Ducks Unlimited Artist of the Year in 6 states including Minnesota. Wildlife mugs with a Raedeke design appeared regularly on television’s, “Northern Exposure”, and in several movies. Anheuser-Busch commissioned Raedeke to paint the World-Famous Budweiser Clydesdales in a wildlife setting. He has been in documentaries on public television... Jerry’s list of accomplishments is long and honorable. Raedeke’s love of the outdoors has also drawn him to conservation. Over his career, he has donated roughly 85,000 prints and over 150 original paintings, with proceeds going towards conservation efforts. He has raised over $5 million for Ducks Unlimited, which is just one of the organizations he works with. Are you a collector of Jerry's work? He would love to visit with you, and if not, you may become one. Don't miss his collection in the Community Center this Saturday, August 11, from 9-3. The Hackensack Children's Fishing Contest is proud to be working with the Northwoods Arts Council Festival this year. We will be running various kids games to be played in the baseball fields next to the community center. The events will a free will offering to play them, and the proceeds will go towards the "Save the Pier" project at the Birch Lake Dock. This project is a restoration of the sea wall. This is the wall that holds the earth up around the peninsula before you reach the DNR dock. We are in the final stages of securing the funding for this project and look forward to its completion in the Fall. Please consider bringing your kids to the Arts Festival and we can help entertain them and raise funds too. Visit our website at www.hackcfc.com or www.facebook.com/hackcfc to find out more about our contest or to browse photos of our event. Barbara Schlichting has always been dreamer, so she writes books. She likes to wander through bookstores and fall in love with fictional characters. She also loves to travel and has had an English penpal for about fifty-five years. Barbara is the author of the First Ladies Dollhouse mystery series, historical fiction as well as picture books and poetry. She has several short stories published. Originally from Minneapolis, she and her family moved further north to Bemidji, MN. The First Lady mystery series is set in downtown Minneapolis. The protagonist, Liv and her husband, Aaron, own the Dollhouse Store. Liv is a distant descendant of First Lady Dolley Madison. Using historical clues, visiting historical sites, talking to her miniature dolls and rearranging the White Houses, and customer inquiries, the reader learns a little bit of history. Historical characters make Modern history. I have attended the Art and Book Festival a number of times and enjoyed it. It’s a great chance for me to meet my readers, and that’s what writing is about. Thank you for giving me the chance to express my thanks for being a fan. Donna Salli writes in multiple genres – poetry, fiction, essays, and drama. Her debut novel, A notion of Pelicans (North Star Press, 2016), is set on the North Shore of Lake Superior. Her book weaves together the voices and stories of women who attend the same church but who handle their life struggles differently. Donna lives in Brainerd, where she taught English at Central Lakes College until her recent retirement. She looks forward to talking with book lovers in Hackensack! Most of our employees live at Stille Havn Hus, our residential care facility. We believe in the therapeutic value of employment. Stille Havn Hus’ residents use the opportunities that our cottage industry provides as one of their good reasons to get up in the morning. 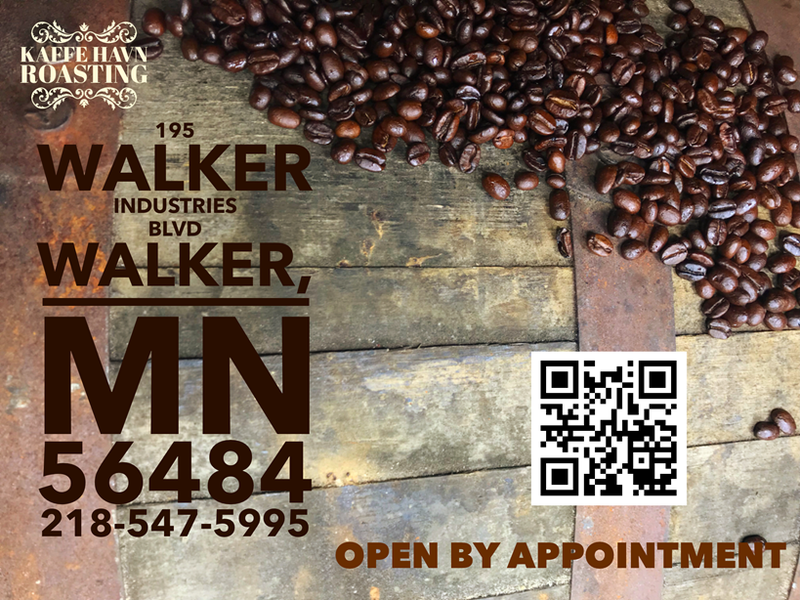 We believe they help us make the kind of coffee that will inspire you to start your day with a purpose as well! In front of the MN Art Truck. Presents his book in front of the MN Art Truck the tale of Jimmy Jonny Brownie, bedtimes and natural consequences. You see, Jimmy Jonny Brownie did not particularly like bedtimes. It would be wonderful, he truly believed, to stay up all night. With the approval of some rather clever parents, he does just that. The following day, his good friend Ellie Knelly comes over to play, and you'll just have to read the book to find out what happens next. I wrote this book because most everyone likes to stay up and play when they should be in bed. I also know kids have the ability to make staggeringly smart decisions--they often just lack experience. And sometimes as parents, we need to give kids the chance to create "experience" for themselves, or, in lieu of that, read them a good book. Paul Sailer is the author of The Oranges are Sweet: Major Don M. Beerbower and the 353rd Fighter Squadron – November 1942 to August 1944. He is the recipient of the Aviation Writer of the Year award from the Minnesota Aviation Hall of Fame for this compelling biography of Minnesota’s outstanding triple ace Don Beerbower from Hill City. Sailer says this about his recent book, I Had a Comrade – Stories about the Bravery, Comradeship, and Commitment of Individual Participants in the Second World War: “History is not dull when it contains engaging, in-depth, true stories about the fascinating young people of the war years. Certainly, there is something we can learn from them.” The book’s foreword is by Richard E. Cole, the last surviving member of the famous 1942 Doolittle Raid against Japan. The author received a B.S. degree in Social Studies (emphasis American History) from Moorhead State College in 1969, and a pilot’s rating from the U.S. Army’s Advanced Flight School at Fort Rucker, Alabama, in 1970. He spent a year flying helicopters in Vietnam. He and his wife, Lois, live on a tree farm in Wadena County. 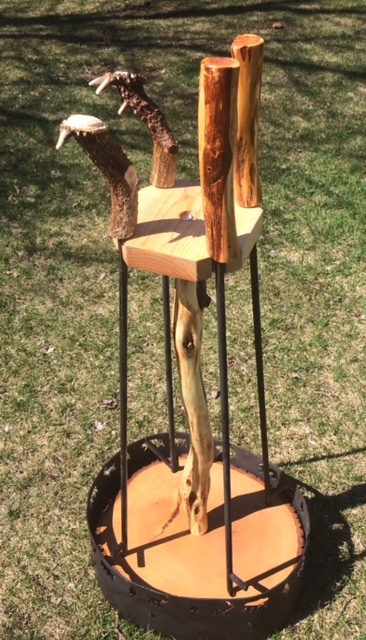 Sailer has participated in the Northwoods Art and Book Festival for several years. He especially enjoys meeting people from nearby and as far away as Alaska. Chris Norbury's first novel, Castle Danger, was published in 2016. In 2017, Castle Danger was honored with a and an Honorable Mention in the Writer's Digest Self-Published Book Awards. His second novel, Straight River, will be published in 2018. This is Chris's first visit to the Northwoods Art & Book Festival. Chris has been a volunteer Big Brother since 2000 and donates a portion of his book sale proceeds to Big Brothers Big Sisters of Southern Minnesota. Born and raised in the Twin Cities, he currently lives in Owatonna, MN with his wife and golf clubs. To learn more, please visit his website, chrisnorbury.com. We specialize in products made with Diamond Willow. Fire pokers, hot-dog and marshmallow roasting forks, grilling accessories, table lamps, furniture and log beds. We specialize in products made with Diamond Willow. Fire pokers, hotdog and marshmallow roasting forks, grilling accessories, table lamps, furniture and log beds. Judy Jeub grerw up in Chicago but prefers the county life of middle Minnesota so that she can greet the sun in her pajamas with a cup of coffee in hand. She received a degree in religious studies from Edgewood College in Madison, Wisconsin and worked for ten years in religious education. After attending St. Cloud State University, she had a second career as a parent educator, which, she says, “prepared her to be a grandparent.” Her passion is writing, especially stories of ordinary people. She also has a blog where she can express her opinions about such things as politics, religion, and critters that visit her yard. Judy enjoys reading, needlework, and likes to put the last piece in the puzzle her husband, Bernie, labored over for weeks. Both are retired and enjoy traveling, gardening, preserving the produce together, and spending time with their four children and their partners, twenty-three grandchildren, and six great-grandchildren.